If you solved a problem and have a write up, please let us know. Send us an email at info@bsidesmunich.org, and we will link it from our website. The cat thanks you, we thank you. Meow and happy hacking! 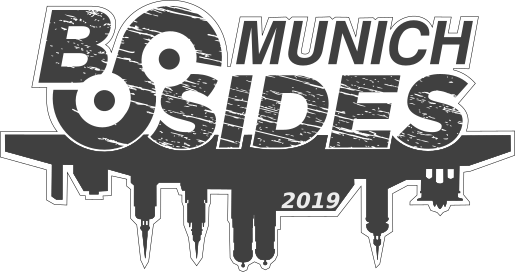 Welcome to the BSidesMunich 2019 CTF! We have something special planned for you. In order to get the most out of the game, we need to share the rules. The CTF will start on Sunday, March 24, 2019 at 10:00 AM and go to Monday, March 25, 2019 at 16:30 CET. The server will go down from 21:00 Sunday to 9:00 Monday. There are many problems that can be worked offline if you would like to work overnight. These will be clearly marked. The CTF will have greater than 25 problems. 1/5 of the problems are only available to those individuals who have tickets to the conference on March 25, 2019. If you don't have tickets, please feel free to still play remotely! We will mark which problems are appropriate for remote play. We encourage folks of all skill levels to play. This means that we will have problems ideal for beginners, social problems where only a mobile phone and your brain are needed and traditional, demanding problems. We will clearly mark the problems to indicate the different types. There will be problems that force you to interact with something in the environment away from the computer. Often these problems have special rules about what you can and cannot do with these items. Follow the rules so the items stay fit for other players to try! You may be tempted to take photos of these items and post them. Please do not. Please do not post spoilers in social media. There will be problems where you will have to acquire information from systems outside of the game. Do not attack these systems. Do not perform any bruteforce attacks on ctfd.io. There are no problems which require brute force attempts. Bruteforce simply puts stress on the network and will get you nowhere. Don't do it. Players may work individually or on teams up to 5. Registration for the CTF will open on Wednesday, March 20, 2019 (also known as the spring equinox). When you sign up and play, you are agreeing to abide by the BSidesMunich Code of Conduct. Please be kind. We are all here to have fun! What is up with the monkey? Let's just say if we didn't have "monkey", then we wouldn't have to save the cat. What does that mean? Join the CTF, and it will all become plaintext for you. ;-) See you soon!